Boxing has become more than just an spectator sport. Today, an increasing number of health conscious individuals are engaging in boxing for its fitness benefits, thus, increasing the demand for boxing equipment particularly boxing gloves. These gloves can be made from a variety of materials including genuine and faux leather. They are also padded to protect the fighter's fist and minimize injury during bouts. While boxing gloves do not have breakable or fragile parts, they still need to be properly packed for shipping to ensure that they arrive in good condition. Whether sending a brand new or previously owned pair, boxing gloves should have sufficient protection from the elements, as well as, the rough handling it will go through during transit. The gloves' stitches, padding and shape are designed to protect the hands of a boxer. Once deformed, these gloves will not be able to serve their purpose. Here are some tips on how to properly pack and ship boxing gloves and ensure that they arrive in perfect shape. Use a sturdy and appropriately-sized shipping box. 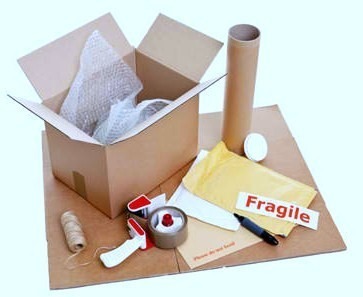 The boxing gloves should snugly fit into the box with enough space for packing materials to prevent movement. Place each glove in a plastic bag to protect it from the elements like moisture and dirt. 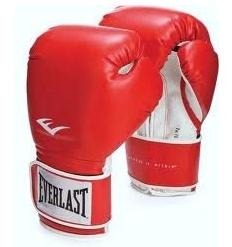 When shipping previously used boxing gloves, make sure that the pair is clean and free from bad odor. Nobody wants to receive a pair of boxing gloves that reeks! Sweat from the hands can get into the gloves' lining and start the growth of odor-causing organisms. To eliminate bad odors from your boxing gloves, sprinkle a generous amount of baking soda inside and out of the gloves, let stand for a few hours and dust off the baking soda before packing. Never wash a pair of boxing gloves to prevent deformation. Put the wrapped gloves inside the shipping box. 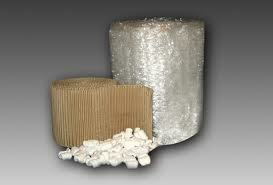 Fill empty spaces with packing materials such as packing peanuts or bubble wrap. Close the box and check if the contents shift when the box is shaken. If there is movement, add more packing materials. Otherwise, close the box and seal with packaging tape.